Patients report it is easy to lose motivation with their diet, exercise and weight loss. I understand this! I have days and times where I am unmotivated to work-out as well. I just found new motivation in two patients I met with last week. One lost 18 pounds in one month and the other lost 41 pounds in 5 months. Read what these patients did and see if it motivates you! We had a “Rock Star” of a patient return for her first follow up visit. This patient came to our clinic in the middle of January as a new patient. She sat through Dr. Weckenbrock’s lecture and reports “he lit the fire for me”. The patient returned 6 weeks after her first appointment for her follow-up and had lost 18 pounds! And here is the kicker…the patient did it on her own WITHOUT using the appetite suppressant she was prescribed! Your read the last sentence correctly…this patient, Miranda lost the weight all on her own through diet and exercise. In order to lose 18 pounds, this patient decreased her caloric intake by 63,000 calories (3,500 calories is equal to one pound)! Miranda told me she totally changed how she was eating. She started eating more fruits, vegetables, lean proteins, cut out fast foods, fried foods, and sugary beverages and really hit the workouts hard. When I asked her how she did it, she stated Dr. Weckenbrock’s lecture really hit home for her and she wanted to absorb and take in as much information from him as she could. She was not focused on the pills and what they were going to do for her; she was focused on Miranda and what Miranda was going to do for herself! Last week was a week of motivational patients! We had a second patient return to the clinic after not being seen since September. This patient had lost 41 pounds since her last visit and had been doing it on her own since the end of November. Even through the holidays, this patient managed to continue losing weight without any appetite suppressants! This patient attributed her weight loss to counting her calories using MyFitnessPal and being more active with her daily tasks. We all love to hear motivational stories and they motivate us for a period of time. But keeping the motivation and staying motivated can be a difficult feat. 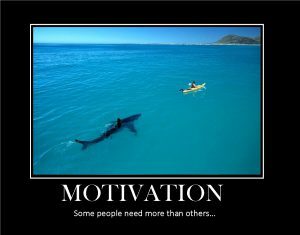 So how do you get motivated and stay motivated? Think about your wellness, not just weight loss. What food choices do you make on a daily basis? 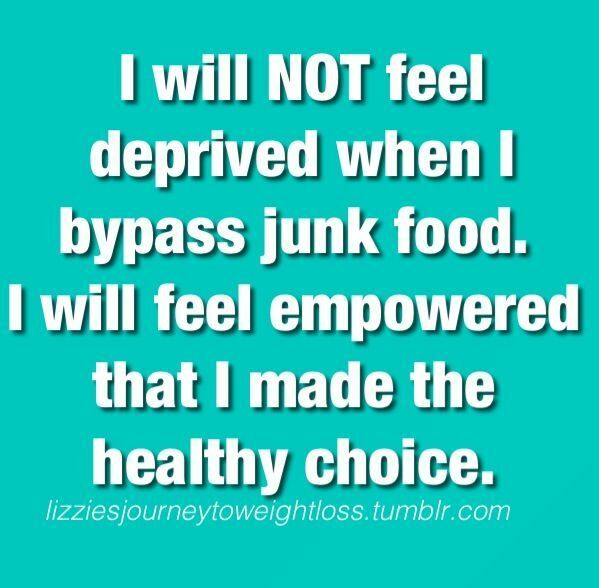 Do you make better food choices when you are “dieting” or trying to lose weight? Why does that change once you reach your goal? You should consider making healthier choices all the time; this will be better for your health and wellness in the long run! Set short and long terms goals and work to achieve each one. The cumulation of short term goals should put you at your long term goal. If you have a weight loss goal of 25 pounds for instance, this should be your long term goal. You should set short term goals to reach the 25 pounds. For example, set a goal to lose 4-5 pounds per month. A healthy weight loss is 1-2 pounds per week and this is something you can maintain. Set a short term goal of starting an exercise program or routine. Once you start getting more active, start setting more challenging exercise goals. Set short term goals of increasing the amount of fruits and vegetables you eat. When setting short term goals, be very specific; i.e. exercise 3-4 days per week for 20 minutes; eat 2 servings of fruits and 2 servings of vegetables per day, etc. Set limits, but do not eliminate things you enjoy. If you enjoy chocolate cake, allow yourself to have chocolate cake; just limit your serving or portion. Eliminating foods will cause you to crave them or want them more. Allow yourself the less healthy choice on occasion, just set limits. Do not take on too many challenges all at once. Pace yourself and make one to two changes at a time. You do not want to feel overwhelmed with too many changes in your life, diet or activity. This will set you up for failure. Do not focus on changes you are not seeing; focus on the changes you are noticing. For example, don’t focus on the fact you have dropped a dress size; focus on the fact you have more energy and are more physically active because of the energy. Or focus on the money you are saving by not eating out as often or the fact you are eating less junk food and choosing healthier options. Celebrate the small victories! Remember health and wellness are more like a marathon than a sprint. Each time you achieve one of your goals (even if it is a short term goal), celebrate it; no matter how big or how small, celebrate your victories! This way it will not seem like the “finish line” is so far away. I hope this blog helps motivate and inspire you in your wellness endeavors. Take the tips and try them and use the ones that work best for you. You may have a few motivational tips of your own…please feel free to share them with us! Previous PostPrevious Exercise and Weight Loss: Does One Affect the Other?